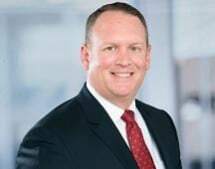 Ryan J. Williams is a Senior Trial Attorney who practices in the areas of business litigation, employment litigation and catastrophic personal injury claims, insurance litigation, real estate litigation, and professional liability claims. His diverse practice includes the representation of local, regional and national clients in all phases of litigation, including trial. Mr. Williams obtained his Bachelor of Arts degree from the University of California at Irvine, where he majored in History. He then earned his J.D. at University of California at Los Angeles. Mr. Williams was recognized in 2012, 2013, 2014, 2015 and 2016 as a Southern California Rising Star by Super Lawyers, which is a peer nominated honor bestowed on the best attorneys in the state who are 40 or under or who have been practicing for 10 years or less. Mr. Williams is the 2017 Chair of the Orange County Bar Association's Business Litigation section, the largest section in the OCBA. Mr. Williams has also served as the Chair-Elect, Secretary and Treasurer of this section. · Obtained a dismissal of a public entity in a well-publicized, multi-million dollar wrongful death action involving the 710 Freeway.